Katara's opinion.. . Wallpaper and background images in the Zutara vs. Kataang club. You guys are so mean to Zutara! You gotta learn to love the original couple!!!!!!!!!!! Zutarians post this kind of stuff all the time. 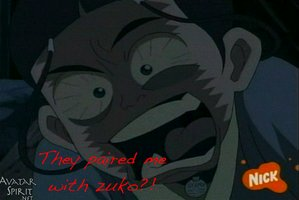 Why is it that Zutara fans are allowed to post whatever they please and Kataangers have to be censored and yelled at for their posts? That's pretty mean.